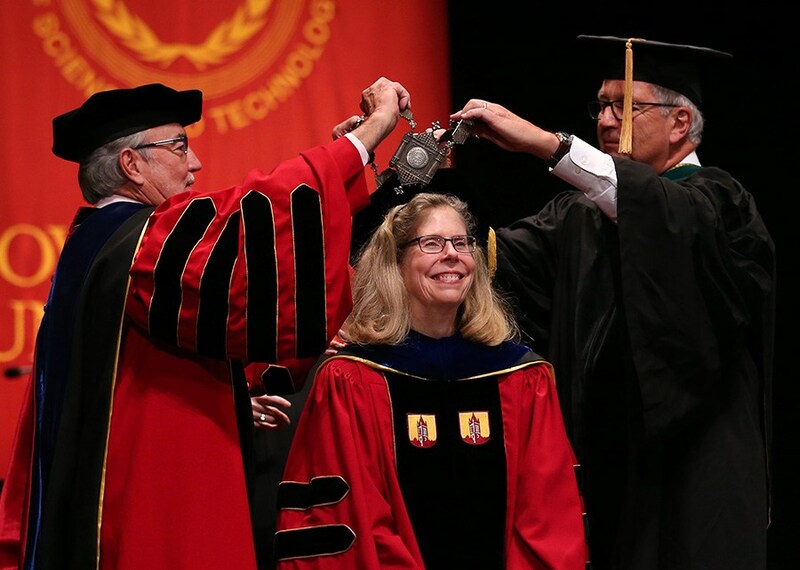 In 2017, Wendy Wintersteen became Iowa State University’s 16th president and the first woman to ever hold the position. Since then, Wintersteen has made creating and supporting a strong entrepreneurial culture a top priority throughout the university. Wintersteen wants to change that. A little over a year ago, Wintersteen began having conversations with deans throughout the university about how to best build up opportunities for undergraduate students across all the colleges in the university. In addition to expanding ISU’s entrepreneurial focus, Wintersteen plans to continue to develop and support previous initiatives that have seen success. The ISU Research Park was founded to provide space and resources needed to advance science-based initiatives. Today, over 80 companies own or rent space in the Research Park. The Research Park works with businesses from a variety of industries to improve economic development in Ames, across the state, and nationwide. “The Research Park was a big priority for President Leath and continues to be a priority of mine as well,” Wintersteen said. “These companies come to the park to connect with our faculty and to recruit talent so we’re going to keep having big opportunities out there,” Wintersteen said. Students from all of Iowa State’s undergraduate colleges will be able to use the new Student Innovation Center, which will provide space for individual and group activities and capstone projects, and for classes and student clubs involved in hands-on learning. The 140,000-square-foot building is scheduled to open in spring 2020. Nearly half of the funding necessary for the $84 million project will come from state appropriations, with the remainder of the balance made up of private giving.